It is very much a fact that the vast majority of people will suffer from acne during their life at some point. However, the really unfortunate ones, are the 30% who experience scarring from their acne. There is hope for that 30% – laser treatment. The kinds of lasers used to remove acne scars are divided into two distinct categories. Both of which have various pros and cons. Non-Ablative – When these lasers are used, there is less recovery time needed. However, the results are not nearly as impressive as the lasers mentioned next. They are not able to remove any of the tissue, but do make the skin around the affected areas tighter and enhance the production of collagen. NdYAG and diode and the most common lasers of this kind used. Ablative – While it is true these lasers do provide treatment that requires more recovery time, the results are much more impressive than the above and scars can effectively be cleared. Melting, vaporization or evaporation are how these lasers remove the scars. As well as eroding or wearing out the surface of the scars, they also tighten up the fibers of collagen below the surface of your skin. Carbon dioxide and Erbium YAG are the two most common ablative lasers used in acne scar removal. AS neither of the laser treatments mentioned above have downtime at all, there is no need for you to stay in the hospital, making it more desirable than other skin procedures and surgeries. Laser treatment really is effective. You will experience a noticeable change in the texture of your skin and could even get permanent results. This does depend on the type of laser treatment, of which there are many to choose from that fall into both ablative and non-ablative categories. Since it does not use any man-made additives or chemicals, you are not going to develop any allergic reactions or outbreaks that you might experience from other treatments. Unlike surgeries and other treatments, lasers target the precise areas where treatment is needed, leaving parts of your skin that don’t have acne. This is a huge benefit for those with particularly sensitive skin all over their face. Availability can be an issue. Depending on where you stay, it may be difficult to find a skin rejuvenation center with a full range of different laser treatments. During the recovery period, your skin will look red and irritated. While the lasers don’t peel or burn your skin, the new layers that are exposed will be sensitive to natural elements, chemicals and the environment. If your skin tone is darker, it could appear discolored. In order to facilitate the recovery process, it is important to stick to your dermatologist’s instructions. It can be an expensive form of treatment. While it does vary from practice to practice and region to region, even having the treatment on a small area of skin, you will spend a lot. Of course, this also is dependent on the type of laser treatment you end up having, as well as the severity of your scarring. This could be either a pro or a con depending on the individual. 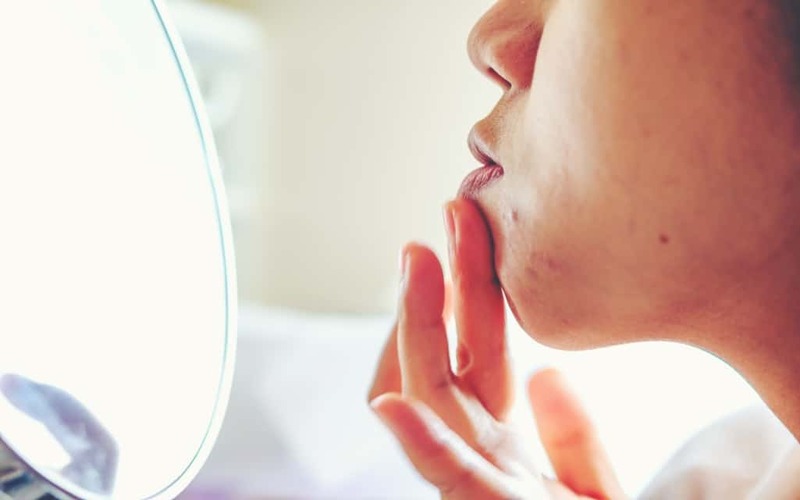 Sometimes there are side effects and complications from using ablative lasers, including long-term effects such as erythema and hyperpigmentation and shorter-term effects like bacterial and fungal infections. If an area is overtreated with a CO2 laser it can cause infection and scarring. So, it’s important to take care when lasers are being used in the chest area, lower and upper neck and eyelids. While the last point does sound scary, it’s easily avoidable by finding an experienced doctor who knows what they’re doing. As with anything to do with health, thorough research must be done. If you’ve done this, then laser treatment for acne scarring could have your skin glowing again as you once remember it.